Ranunculus Buttercup For Sale - Lowest Prices Online Now! The shipping was fast as well, only 2 days, and free. It will also be easy to take care of. The price could not be beat anywhere I looked for this product, and I searched multiple sites and stores. The plant arrived in excellent packaging, too. I couldn't be more pleased. Ranunculus Buttercup is a beautiful sign that Spring is coming and is just around the corner. These are beautiful when all are in bloom and will also make lovely vases of flowers to bring inside the home. The Ranunculus Buttercup likes slightly acidic soil. Its flowers are yellow, orange, or white. Its bloom time is in spring. Ranunculus buttercups are hardy in a range of soils. Ranunculus Buttercup is the perfect plant for your garden. Ranunculus Buttercup is also a great wildflower to line driveways and walkways. Ranunculus Buttercup is commonly found all over the world because of their natural adaptability not only in climate but also in soil conditions. 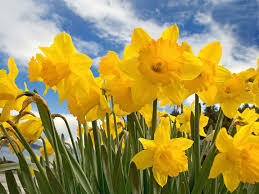 Even in harsh winters, the daffodil will start shining through almost the same as a winter crocus or a tulip. It requires little maintenance and can be transplanted easily and practically always flawlessly. This flower can be used for ornamental purposes or cut to be shown in vases indoors. The Ranunculus Buttercup is commonly used as border uses because of their height and color. The elevation is around 12 inches tall with a small cup-shaped yellow and white flower. Ranunculus Buttercup is a gorgeous flower and will let a homeowner or gardener know that spring has arrived. These beautiful perennials will bloom each year in the spring months and will create a gorgeous look with their brightly colored yellow blooms. These are an excellent perennial to plant around crepe myrtle trees to add more color to all areas. These flowers will also look great as they are used to fill a flower garden or even a natural area. They even love all different kinds of soils and can grow just about anywhere they grow. Ranunculus Buttercup flowers can also be found in wooded areas and even in open fields at times. They will not take any care at all to get them to grow. The daffodil is a very hardy perennial and can sometimes be seen growing when it is snowing outside. They will love it when the climates start to warm up during the spring months and will usually grow in abundance during this season. These flowers are also spectacular to bring indoors and add beautiful yellow color to rooms when placed in a vase. After they have bloomed, it is a great idea to trim them down and sometimes they may also need to be separated. They can produce a small bulb that can be transplanted to other garden or natural areas. It is also a great way to share your beautiful flowers with neighbors and friends. Ranunculus Buttercup will look amazing when used as a border for a walkway or driveway. Even when not in bloom they will display beautiful green leaves before, they begin to die out during the hot summer months of the year. Ranunculus Buttercup can appear when they bloom to be yellow, orange and also white with yellow or orange centers to them. These great flowers can grow to be inches and even be around one foot tall when fully developed. They will supply great color and look amazing especially when there are a bunch planted together.